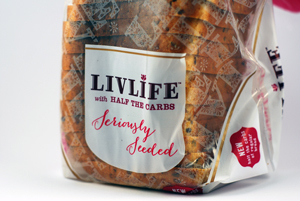 Livlife low-carb bread hit the shelves of Waitrose stores across the UK in 2013 (not currently available outside of the UK). Backed by a major advertising campaign with the strapline “Bread is back”, it has generated a lot of publicity. 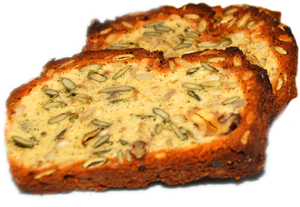 I bake low-carb bread myself all the time, so I was intrigued. I know it can be hard to get it right when baking at home, let alone to create a commercial product on this scale. Fibre is essential for healthy digestion. It can be a bit tricky to get enough of it on a low-carb diet, when you cut out the grains. 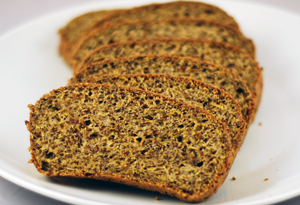 This low-carb high-fibre bread recipe includes very high-fibre ingredients, to help ensure you get enough. One slice of this bread contains 6.5g of fibre but only 1.8g net carbs, plus 10g of fat and 6g of protein, to a total 152 calories. Which food do you miss the most after going low-carb? For me, it’s definitely bread. There are some companies out there that claim to make low-crab bread, but in reality (as this recent post on DietDoctor shows), you just never know whether their claims are true. The best solution to this problem is to make your own.